Samsung Announcing the Nexus Two on November 8th? Update: Most people are pretty sure that it’s still going to be the Continuum which we thought back when this date was announced. Oh well, was worth some good chatter. News sort of blew up last night over a couple of subjects. First was about the Droid 2 update which looks to set the device a slight step ahead of the Droid X in software versions and will include some neat little features like the ability to set a contact picture from your gallery. The second bit of news might have been even bigger and was announced on the air during Radio Android’s weekly show, having to do with the Nexus Two. 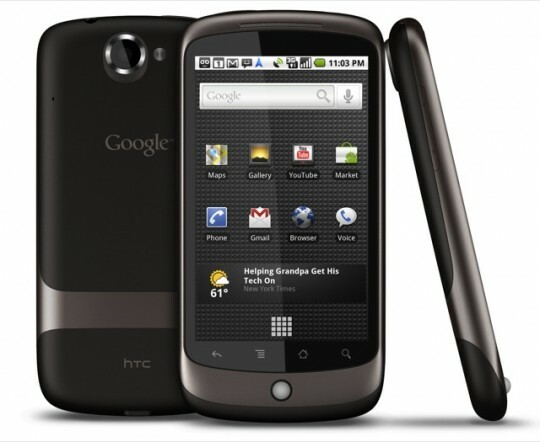 An anonymous tipster sent info to their hosts claiming that Samsung would be announcing the follow-up to the Nexus One in their press event which is happening on November 8th in NYC. Sound good to you? Well, at almost the same time that news dropped over the air, our buddy Taylor from Android and Me posted a similar story which he uncovered from “multiple” sources. This is big, people. Now, before we get more Samsung hate like we saw on Twitter last night, understand that this will have to be a Google Experience phone just like the N1 and original Droid. If Samsung truly does announce this device, this will be the next developer phone so it won’t have a custom skin on it or come preloaded with Bing. This will be the real deal and a phone that almost all of you should consider if you can’t stand locked down phones with manufacturer skins. You’ve all seen how often the N1 receives updates right? Sick of waiting around for them on another device? Then this might be the one for you.